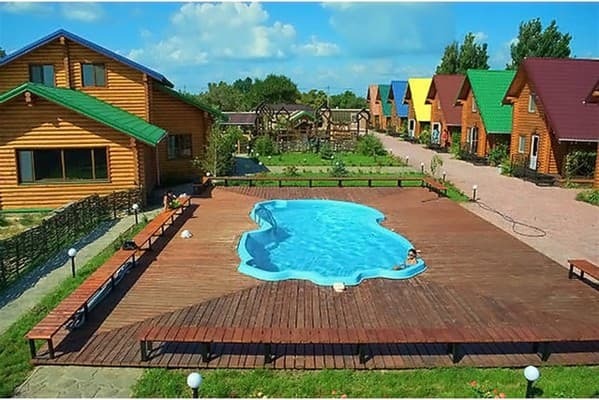 The boarding house "Dikanka" is located in the village of Strelkovoe - the resort village of Arabatskaya arrows (800 m to the sea). 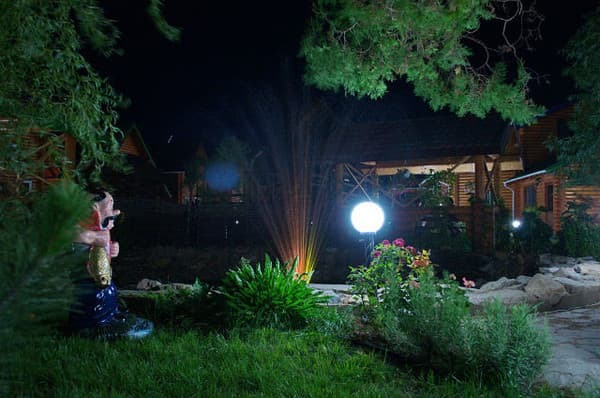 The boarding house "Dikanka" is a comfortable 4-bed cottage, designed for family accommodation. 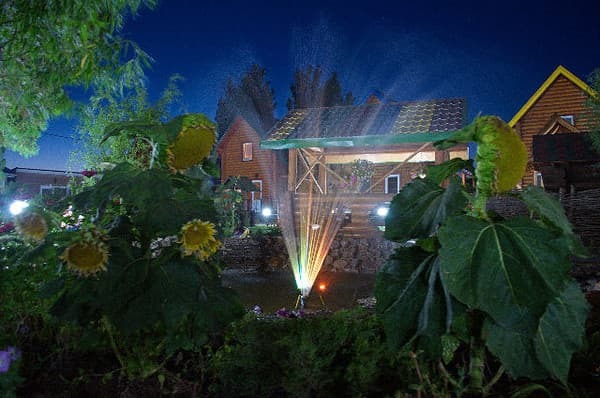 On the territory of the boarding house there is everything necessary for a good rest, namely: a children's playground, swimming pool, sauna, pond, arbours for rest, billiards, restaurant, cafe, there is an equipped kitchen for self-cooking. Free Wi-Fi is available. 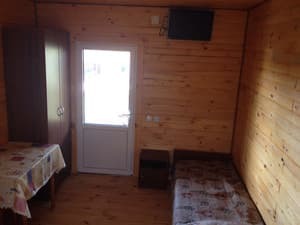 Description of the room: Standard room is equipped with everything you need (hair dryer, bathroom in each room, electric kettle, mosquito net, air conditioning, satellite TV). 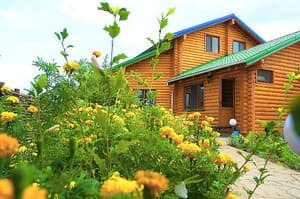 Description of the room: On the first floor of the cottage there is a bathroom and a mini-kitchen (refrigerator, microwave, kettle). 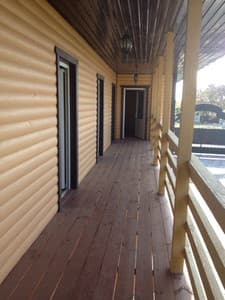 On the second floor there is a sleeping area - a double bed and a sofa bed. 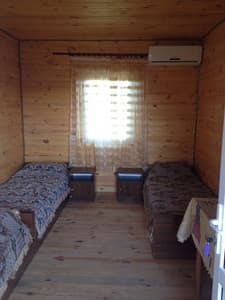 The room can accommodate up to 5 people. It is possible to provide additional space - a clamshell. 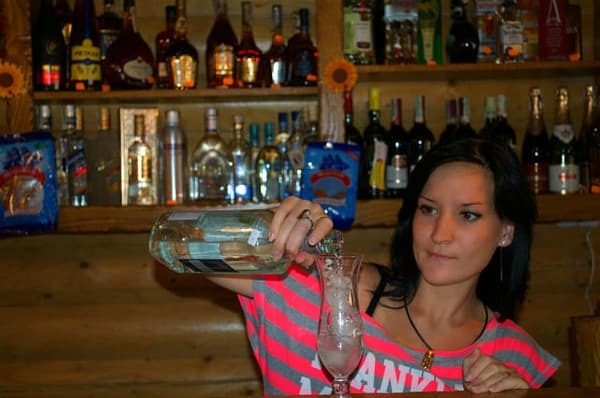 The cost of placing on an additional place is 50 UAH / day. There is a free kitchen, fully equipped with everything you need (gas stove, kettle, dishes, furniture). You can use your multicooker. In walking distance there is a cafe, market, shops. 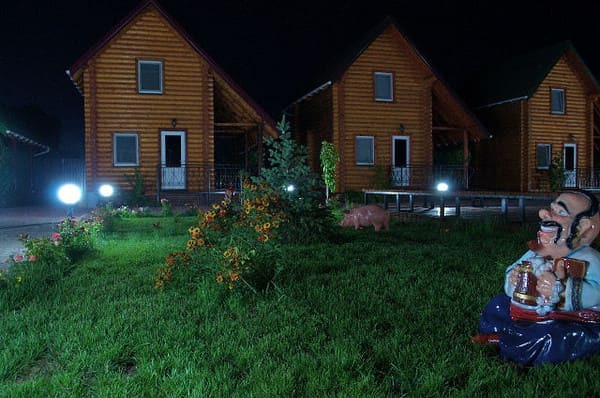 The boarding house "Dikanka" is located in the village of Strelkovoye - the resort village of the Arabatskaya arrows. Distance to the sea 800 m.
Any fixed-route taxi, plying through the Arabatskaya arrow (village of Rifle).